I’m super behind on posting these. I’m trying to catch up. Enjoy! 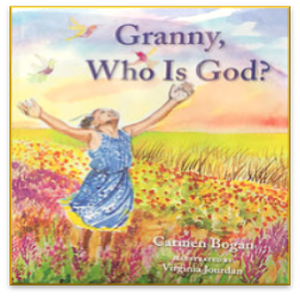 Carmen Bogan is the award- winning author of the picture books, Where’s Rodney?, Granny, Who is God? and its upcoming sequel Up in God’s House. Carmen also founded Dream On Publishing in 2013. On her website, Carmen explains that the mission of her mulitcultural children’s book publishing company is to respect and free the voices and minds of all children and youth through the journey of reading and writing because literacy gives wings to dreams. She is a member of the Oakland Literacy Coalition and is a writing coach for children and youth. 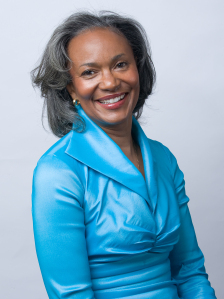 The recipient of the coveted New Voices Literary Award from Lee & Low Books, Carmen holds BA degrees in journalism and English from Stanford University and an MBA from the UCLA Anderson School of Management. It’s not everyday that one of the authors we spotlight also happens to be a member of the primary audience of the books that those of us at BBS creates. But today, is that day. The same month that she turned 13 years old, Marley Dias also became a debut author. An impressive milestone on its own, yet only the latest in the young author’s journey that started in November 2015 when she launched the #1000BlackGirlBooks campaign. Famously quoted as rebuking the amount of books out there about White boys and dogs, Marley set out to collect 1,000 books that featured African American female protagonists. The campaign drew national attention and resulted in the donation of over 9,000 books. Born in Toledo, Ohio with strong family roots in Detroit, Michigan, Keturah grew up with parents that instilled in her the importance of individuality and creativity. Many of her illustrations depict empowering messages of black women and girls. Her paintings are renown for having large bold beautiful hair styles and representing an underserved, but growing, population of self-aware people within the African diaspora. And one look at the abundance of her products online is all you’ll need to see exactly what we mean. Keturah is literally a one person shop that features everything from hand-painted denim jackets, to Tees, to prints and mugs all adorned with her beautifully rendered black women. We asked her about her journey, her backstory and her inspiration. Last winter, Tiffany D. Jackson’s debut YA novel ALLEGEDLY had a lot of people talking with it’s emotionally charged story literally ripped from the courtroom. Kirkus called the novel “searing and true,” adding it “effectively joins Ava DuVernay’s documentary 13th and Michelle Alexander’s THE NEW JIM CROW(2010) to become another indictment of the penal system’s decimating power beyond its bars.” In June, we’ll be treated to a second novel, also based on a real life court case. TB: When did you start your writing journey? A veteran TV writer and producer, the talents of Fracaswell Hyman have brought you shows like Ghostwriter, Gullah Gullah, Island, The Famous Jett Jackson, Taina and Romeo. He never planned on writing children’s television programs, Fracaswell’s dream was to be in front of the camera. The lesson: Dream Big. He did it all. As an actor, he appeared in Malcolm X, Ghostwriter, Separate But Equal and Law and Order. He’s in an upcoming stage production of Fences in Wilmington, NC where he lives. His latest leap? Becoming a middle-grade author. His acclaimed novel, Mango Delight, has won a starred review from Booklist and earned praise for its originality, complexity and understanding of the friendship issues tweens face. We look forward to more great work from him. 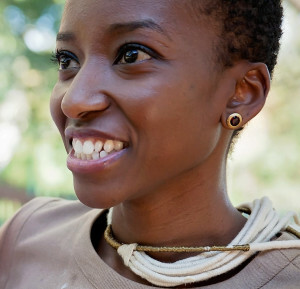 “My goal is to focus on crafting stories for global audiences inspired by my Ugandan heritage. Set primarily in East and Southern Africa, my stories aim to illuminate the everyday and diverse experiences of African children, while celebrating human universality.” says Nansubuga Nagadya Isdahl on Mater Mea. And with its celebration of both the unique and the universal, SLEEP WELL, SIBA AND SABA reads like a loving literary hug. Please join us in welcoming Nansubuga Nagadya Isdahl and her children’s literature debut! There have been days where I’ve literally felt like grabbing my favorite snack and watch L.L. McKinney go after folks on Twitter who seem to have made it a part-time job to come for her and her views. I was excited to talk about how much the Twitterverse has changed since she joined the platform in 2009. Specifically related to books and publishing industry talk. BBS: How different is ElleonWords 2017 than ElleonWords 2009? She is less naïve about what it takes to be a writer in this world and this industry that, to be frank, doesn’t want to see Black Women succeed at anything. Not really. She is more outspoken, she goes after what she wants, she lets nothing stand in her way. She’s honestly a bit angrier, but it’s more a fire that drives her than some unwieldy emotion that makes her irrational.